Dancing is one of the best ways to relieve stress and bring happiness to your life. We offer Afro-Cuban classes that are full of fun along with great technique. Learn the basic moves to a more complex level. Get fit, learn about the Afro-Cuban legacy while improving your core movement, technique and enriching your dance and culture vocabulary. Understand the similarity and differences of Afro-Cuban dances and music. Some props names and used. The Afro-Cuban dance movements, footwork and corporal expression learnt during the course, will enrich any other dance form that you might enjoy and will help you with your confidence, style and improvisation in the dance floor, especially with the core movements (roots) of many Cuban dances. 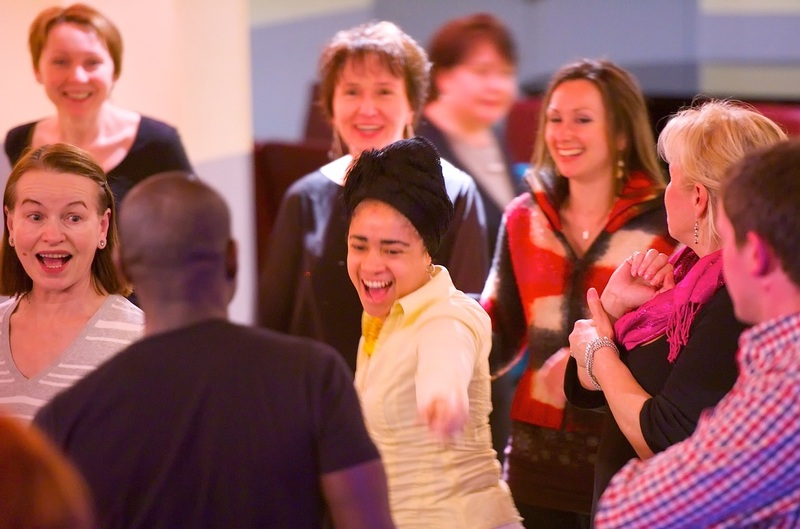 BOOK your NEW Afro-Cuban course starting (Wed 9th May, 8:00-9:30pm) - Intensive 3 weeks !!! ​We operate a ticket-free scheme. Your name will be registered on our list at the door. If you prefer to the a transfer please email us with your name and class name or fill up the booking form at the end of the class you selected page. The best class I have ever been. An amazing energy and you feel liberated at the end !! Highly recommended. Absolutely love the expressive description that bring real meaning to the dances. Also appreciate individual corrections. Feel very comfortable with your willingness to be a free spirit. I like your straight talk, I find it helpful. A fun and enjoyable class that makes learning a whole lot easier and you make it more enjoyable with your lovely spirit. With live music, this class will reflect the historical and soulful connection between Africa and Cuba. What does afro-cuban dance styles comprises? Profane music focuses largely on the Rumba complex ( Yambu, Guaguanco and Columbia). Carnival music such as conga and comparsa, as well as several lesser styles such as the tumba francesa. If not all, most of the Cuban music has been influenced by African rhythms. Cuban popular music, and quite a lot of the art music, has strands from both Spain and Africa, woven into a unique Cuban cloth. The Son Cubano is a typical example of this. We try when possible to run our Afro-Cuban classes and workshops with live music as , with live music, this class will reflect the historical and soulful connection between Africa and Cuba. And is the way the"we" Cubans dance to this genre. Who is OGUN/OGGUN - the deity of iron, war, politics, and technology; he is aggressive, impulsive and arrogant. His colours are: green and purple. His dance movements are strong, masculine and energetic. Who is OYA/YANSA -Warrior female orisha. Deity of the wind, the air, lighting, fertility and magic. Beyond destruction, Oya is the spirit of change, transition, and the chaos. She is associated with the marketplace, the gates of cemeteries (as opposed to the entire underworld), which reveal Oya in her aspect as facilitator of transition. Her crown talks of her character as a Queen. In Yoruba Oya literally means “She Tore”. She is also called “the one who wears pants to go to war“, and “the one who grows a beard to go to war”.